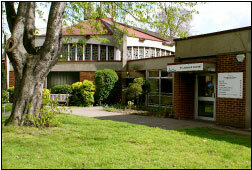 St Laurence Church is the Anglican parish church that serves the centre of Catford in south-east London. Built in 1968, at the heart of a parish founded in 1888, St Laurence’s has always aspired to offer the local community more than just a place to worship. As well as a church, we also run a large community centre which is extensively used by local people for meetings, conferences, receptions, functions and training days. The community has always been at the forefront of our mission. Our mission: to offer, on behalf of a part of the world that God loves, namely Catford, the praise that it has largely forgotten how to express.